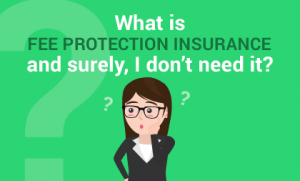 What is fee protection? Surely I don’t need it? Here, Kim Marlor talks about how the landscape is changing. Once upon a time you would be unlucky to be picked, nowadays it’s almost a dead cert that it will happen, the question to ponder is when! This entry was posted on Saturday, December 30th, 2017 at 4:09 pm and is filed under Knowledge Centre. You can follow any responses to this entry through the RSS 2.0 feed. Both comments and pings are currently closed.